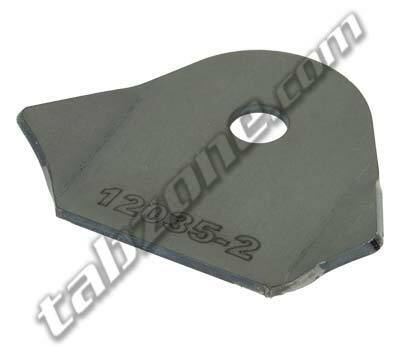 With a 1/2" bolt hole these are perfect for mounting lights or other heavy components. Laser cut and CNC formed 11 Ga CRS. 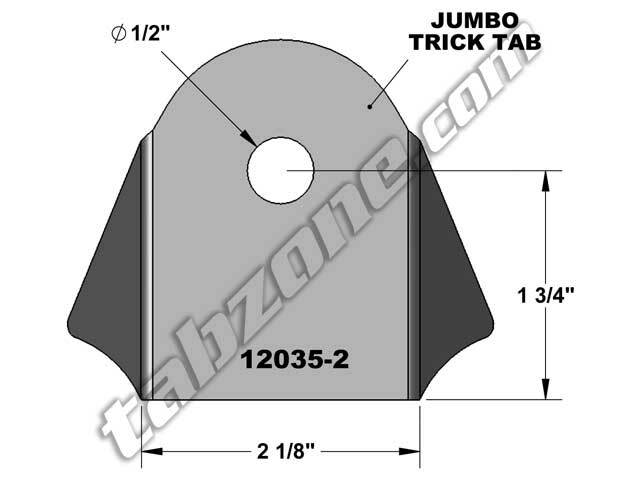 Overall width - 3 1/4"
Flat width - 2 1/8"
Overall length - 2 3/4"
Stand off - 1 3/4"
Tabzone Jumbo Trick Tabs can be welded to almost any diameter tube with a little bit of grinding but they are perfectly suited to fit 1 3/4" OD. 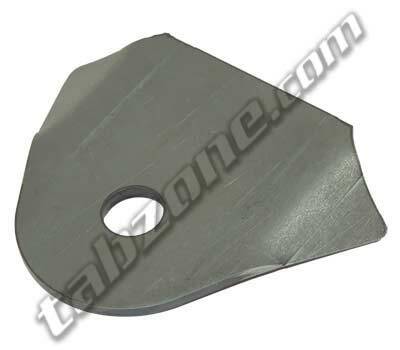 Minimum order of 5 pcs. Made in the USA.